TREE CARE YOU CAN TRUST. 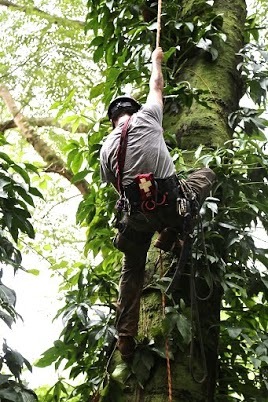 We value safe and proper tree care at Arbor Hawaii. "An arborist is an individual trained in planting, caring for, and maintaining individual trees. Arborists are knowledgable about the needs of trees and are trained and equipped to provide proper tree care." Certified Arborists are individuals who have achieved a level of knowledge in the art and science of tree care through experience and by passing a voluntary, comprehensive examination developed by some of the nation’s leading experts on tree care. Becoming an ISA Certified Arborist is a voluntary process through which individuals can measure their knowledge and competence required to provide proper tree care. Certified Arborists must also continue their education to maintain their certification and adhere to a Code of Ethics. Therefore, they are more likely to be up to date on the latest techniques in arboriculture.